Prosecutors from Vientiane Capital and the provinces of Vientiane, Khammuan, Xiengkhuang, Xaysomboun and Borikhamxay met in Thalat on 2 July for training in countering organised crime and anti-money laundering. 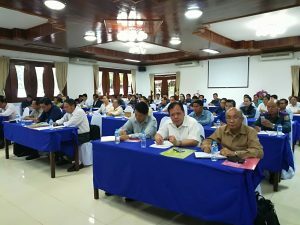 Local judges also attended what was the third in a series of workshops covering all of Lao PDR. 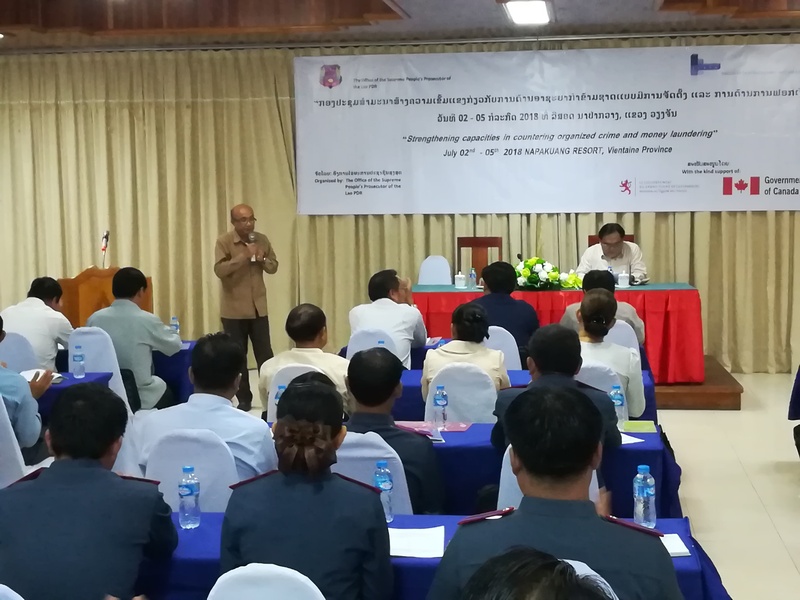 The aim of these training sessions was to improve awareness and understanding of organised crime and its links with money laundering and to showcase best practices in combating these threats. An overview of crime types included environmental crimes (such as illegal logging and illicit wildlife trafficking), violent crime, drug crime, and emerging crime types such as cybercrime and white-collar crime. 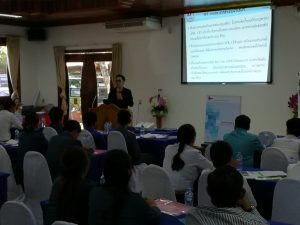 As well as being exposed to new concepts, the participants gained valuable experience from working in groups to examine case studies relating to money laundering ‘red flags’. 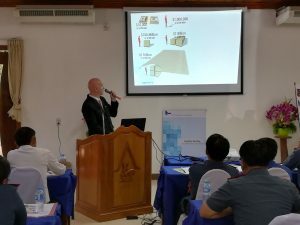 In addition, a representative from the Anti-Money Laundering Intelligence Office (AMLIO) gave a presentation on the role and functions of the financial intelligence unit in Lao PDR. 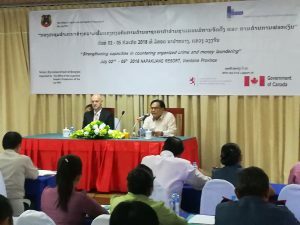 The event was officially opened by Mr Khamkhongouten Keomano, Assistant to the Prosecutor General of Lao PDR and Mr Keith Farquharson, Programme Officer of ILSTA. 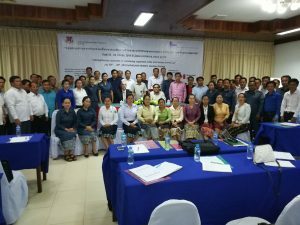 The series of workshops was organised by the Office of the Supreme People’s Prosecutor and the Institute for Legal Support and Technical Assistance and was supported by the Ministry of Finance of Luxembourg and the government of Canada.